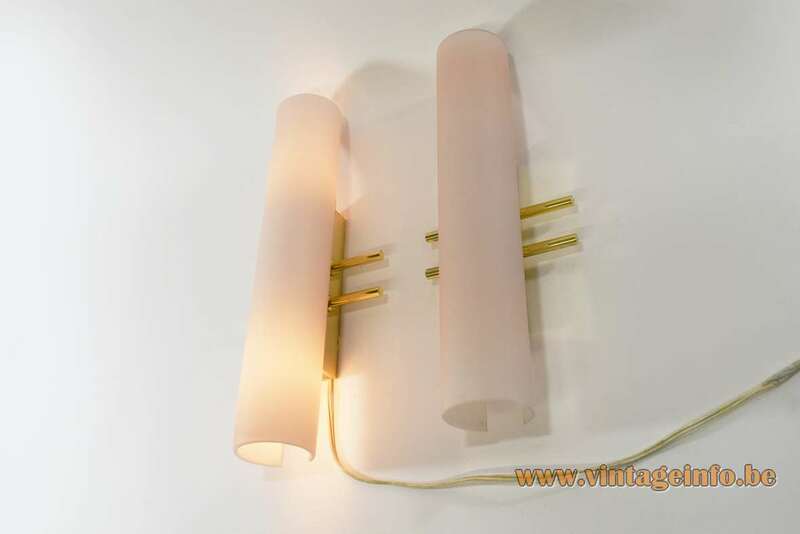 Materials: Pink salmon frosted crystal glass tubes. 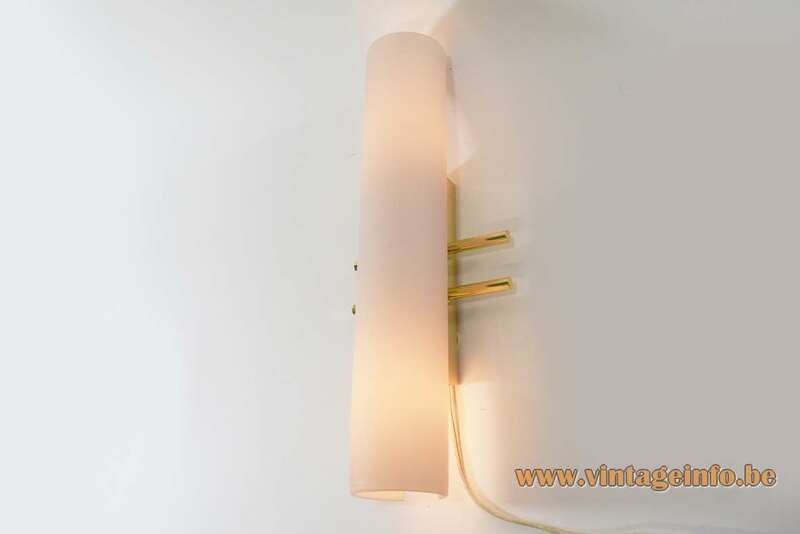 Gilded brass, white painted metal (iron) wall mount. Some metal parts. Black plastic sockets. 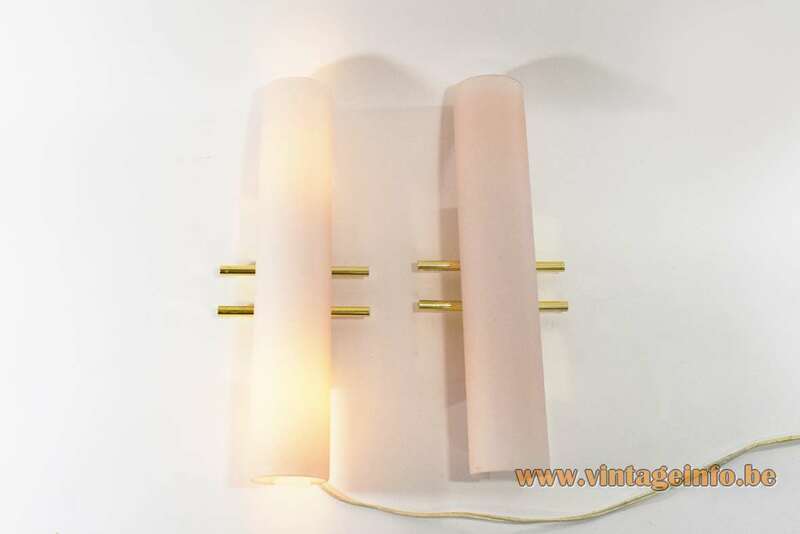 Electricity: 2 x E14 bulbs, 2 x 40 watt maximum, 110/220 volt. 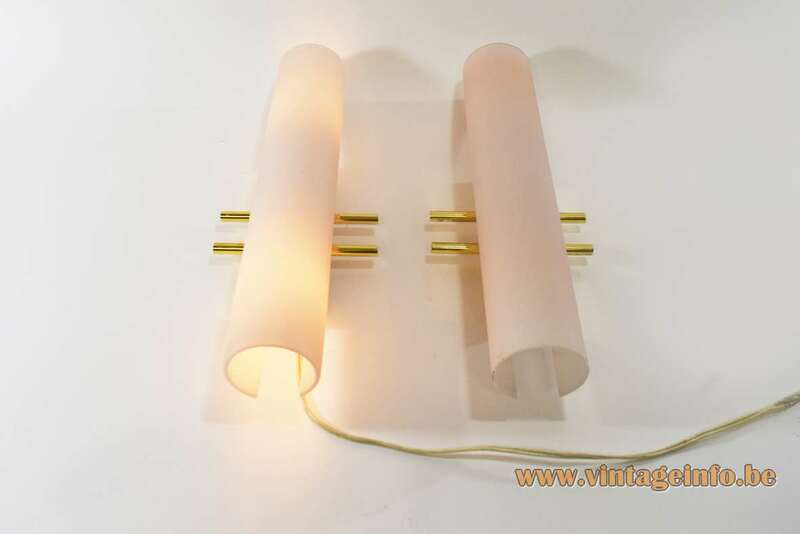 Any type of light bulbs can be used. Not a specific one preferred. 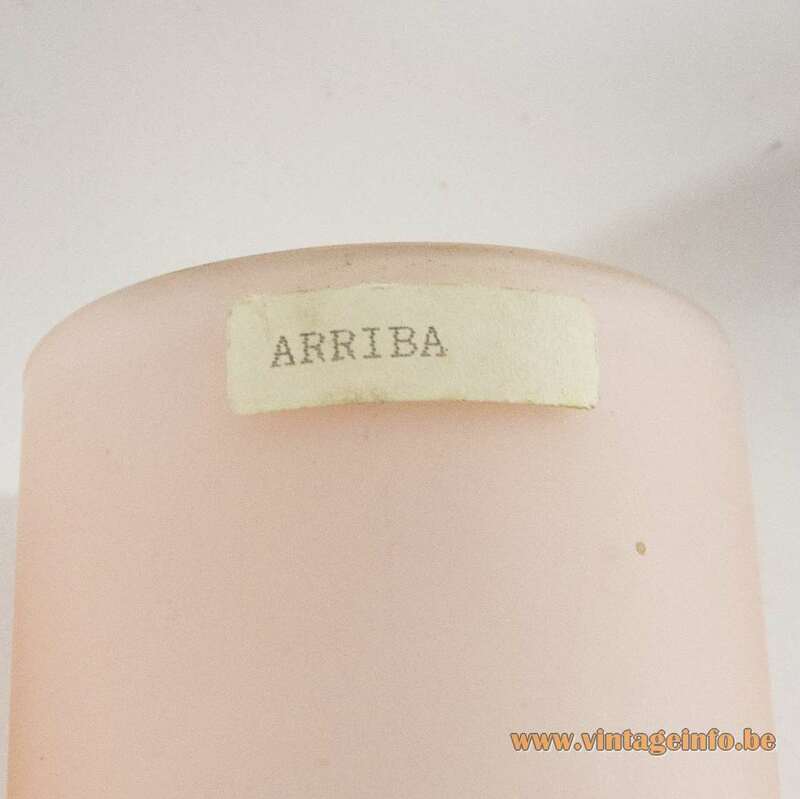 Arriba is the Spanish word for above, up, upstairs. ¡Arriba, arriba! is also part of the cheer shouted by the cartoon mouse Speedy Gonzales. It means go! or hooray for…! 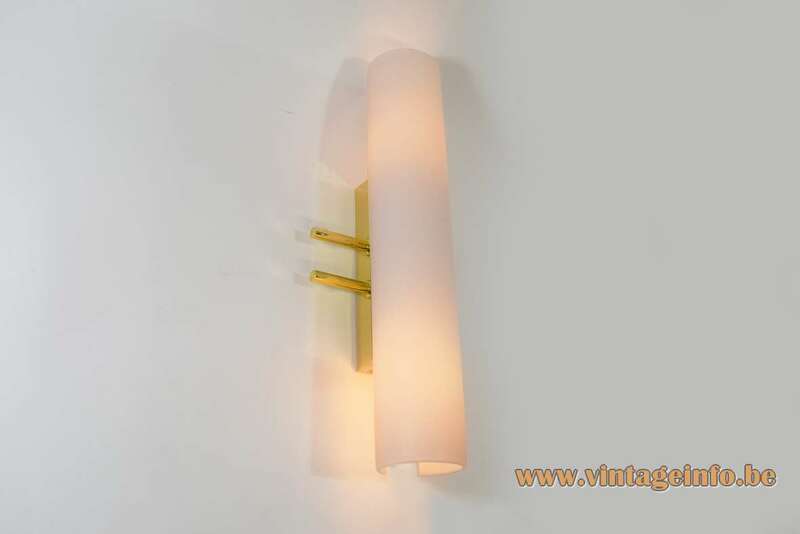 These wall lamps are made of high quality materials and they have serials numbers 36737 and 36728. The article number is 10142. Little is known about the company. 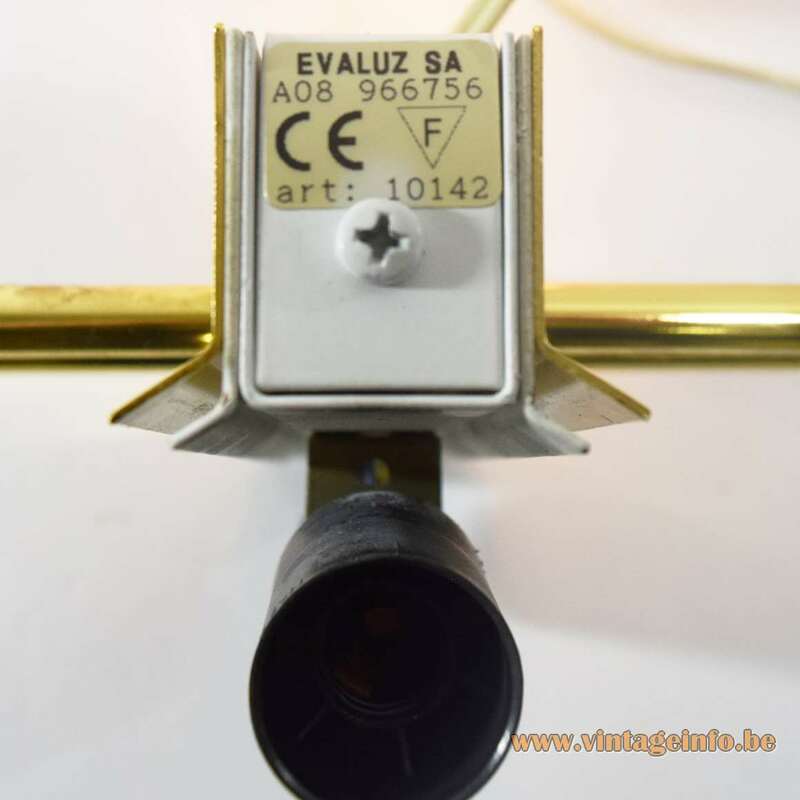 On their website they are also scanty with information: “Since 1974 we are ideas, passion, dedication, and transform it into light, we are… Evaluz.” The slogan of the company is “Belleza Y Luz“, beauty and light. It has between 10 and 49 employees. Juan Soto Garcia is the CEO of the company. 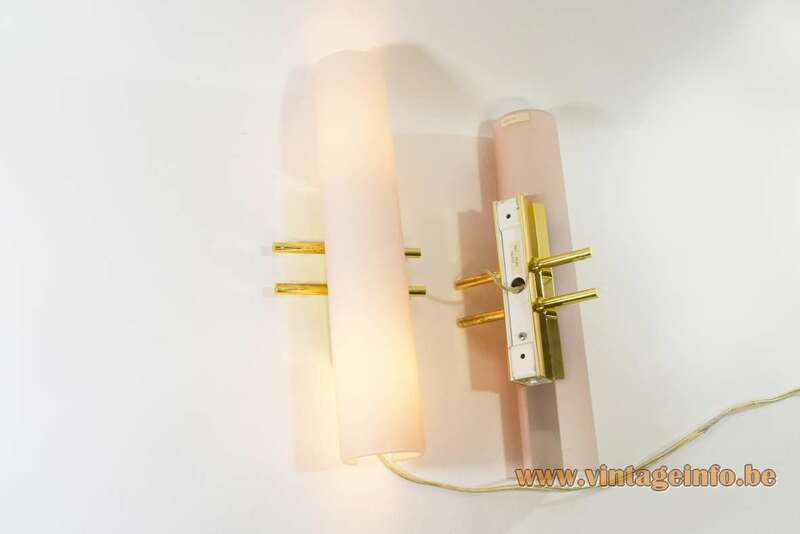 Evaluz produces floor lamps, table lamps, wall lamps, hanging lamps, ceiling lamps. Since 2015 part of their lighting is dimmable.